Earn a recognized teaching credential during Peace Corps service. TEFL Volunteers worldwide support student achievement by teaching English as a foreign language to students in primary, middle, and high school. It's a unique opportunity for Volunteers, even those starting with limited or no teaching experience, to meet global professional English standards. While TEFL projects in Peace Corps countries all prepare Volunteers to be effective English teachers, the TEFL Certificate Program provides more structure, training and on-going professional support. The program prepares Volunteers to teach in a variety of contexts and countries. Once completed, the TEFL Certificate is validated by the Center for Applied Linguistics in Washington, D.C. The TEFL Certificate Program includes 120 hours of training and two years of supervised teaching experience. Pre-departure: Four e-learning modules completed over a twelve week period. Pre-service training: Ten to twelve weeks of technical, language, medical, and safety and security training, including a practicum of 10 hours of practice teaching. Online learning community: Quarterly online professional development events facilitated by Peace Corps staff at posts. 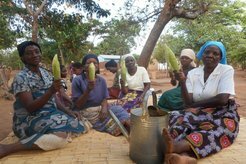 Volunteer teaching: Two years of supervised classroom teaching experience during Peace Corps service. Volunteer evaluation: Rigorous teaching observations based on TEFL Certificate standards to track and improve Volunteers' teaching performance. In-service training: Multi-day training events totaling up to 15 hours of training and practice during Peace Corps service. Certificate: The Peace Corps TEFL Certificate is validated by the Center for Applied Linguistics in Washington, D.C. and recognized both nationally and internationally. The TEFL certificate program was an exceptional program that helped me during service and has been a benefit after service. Find positions participating in the TEFL Certificate Program. 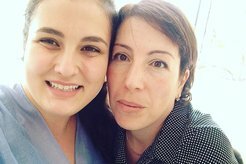 "I came to the Peace Corps with about a year of informal teaching experience, but I can say with some certainty that I have become a true teacher over the course of the last year in Armenia." "My students are bright, young, eager children with dreams of becoming doctors, lawyers, and pilots. I love encouraging them to pursue these dreams through education." 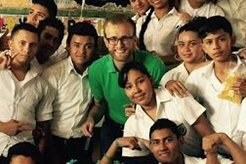 "Before departing for Nicaragua, [Andrew] was comforted to see the structure the TEFL certification program had in place to not only prepare him to teach English, but also provide him opportunities to continue learning and growing as an educator throughout service." "But Alia’s time in Armenia and her mission in our community are near the end. 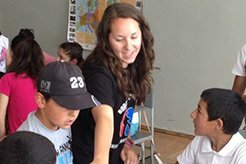 I as an experienced teacher want to say thank you from me and my students that are special to her, to Peace Corps for their service in Armenia and for two years of collaboration and friendship." "The TEFL certification in many ways has also influenced my decision. TEFL certification adequately prepares Volunteers with no prior teaching experience to teach in rural areas. 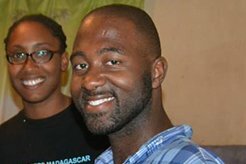 I attribute much of my success to Peace Corps TEFL."